I keep reviewing NeoLoad Containers, this reusable units, serving the same way as functions in a function library. 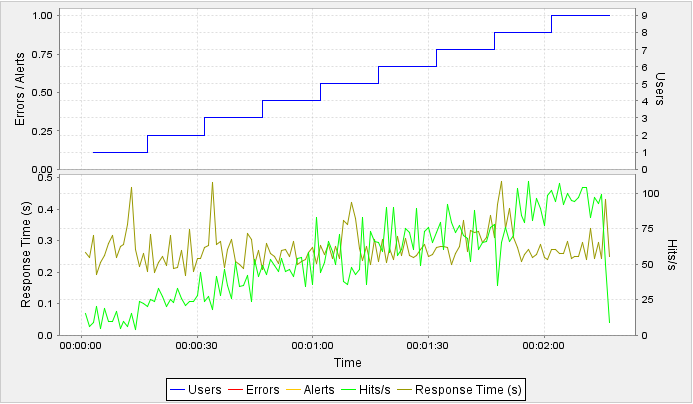 The main outcome we want to get from load session is measurements – response time, errors, throughput, etc. All tools allow obtaining measurements from individual requests posted and some tools allow obtaining aggregate measurements, i.e. group measurements. With NeoLoad, we take group measurements at page level, and we can put pages in container to create higher level group. In the example below, I recorded sample script hitting http://w3schools.com/ tutorial page. After recording, all requests were brought under 2 pages, grouping them under advertising module and the actual content of the page. You can see that I placed the same pages in container as well. Then I ran a simple “Ramp-Up” load. And let’s see what results I got.